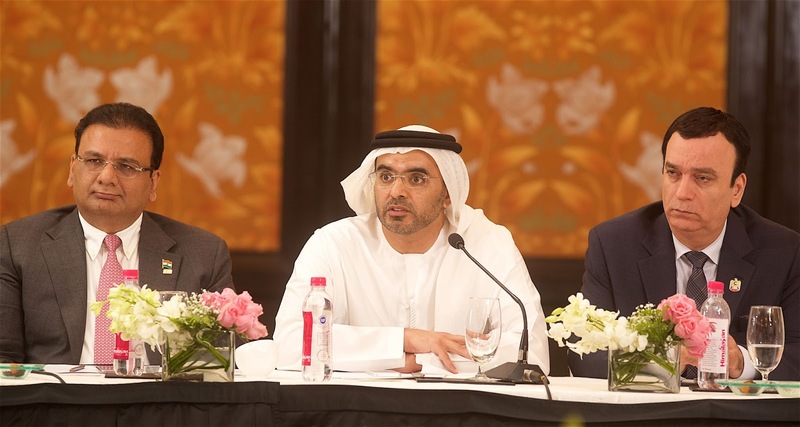 The Dubai Chamber of Commerce and Industry plans to open its first Indian office in Mumbai later this year. Senior officials from Dubai Chamber led by Chairman Majid Saif Al Ghurair and UAE Ambassador Ahmed Al Banna met Chief Minister of Maharashtra Devendra Fadnavis to discuss on approaches to strengthen business and partnerships between Dubai and Mumbai. The Dubai Chamber confirmed that Chief Minister Fadnavis supported the opening of their office in Mumbai. They have also invited the Chief Minister and Indian business delegation to visit Dubai. The visiting Dubai Chamber delegation also hosted discussions with Private Sector Focus Group on the new ways India and UAE can enhance economic cooperation. Of all new companies that registered with Dubai Chamber last year, 29% were Indian, bringing the total number of Indian members to over 36,000. “We see a host of opportunities for business synergies between Dubai and Mumbai and the presence of the Ambassador Ahmed Al Banna shows the commitment of UAE to India. We had lively discussions, which raised many important subjects regarding doing business in Mumbai,” said Chairman of Dubai Chamber Majid Saif Al Ghurair. The Dubai Chamber delegation is visiting Mumbai and Ahmedabad, as part of its Global Business Forum series roadshow. The delegation includes dignitaries and senior businessmen from the UAE visiting stakeholders in the public and private sector in Mumbai and Ahmedabad. The delegation will also meet up with the Chief Minister of Gujarat Vijay Rupani and discuss new ways to enhance economic cooperation between Dubai and Gujarat. Established in 1965, the Dubai Chamber of Commerce and Industry is a non-profit public entity, whose mission is to represent, support and protect the interests of the business community in Dubai by creating a favourable business environment, supporting the development of business, and by promoting Dubai as an international business hub.